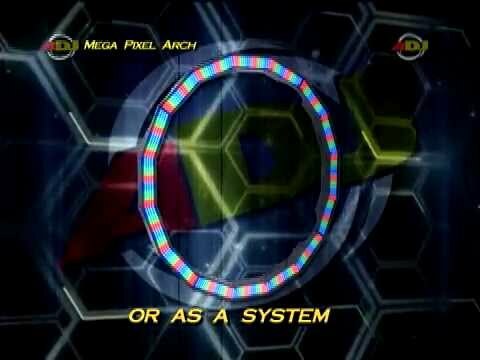 The American DJ Mega Pixel Arch is a unique color chasing arch that can be used alone or in conjunction with the Mega Pixel LED. Mega Pixel Arch instantly adds energy to any application. For the biggest impact, DJs, night clubs and bands should link Mega Pixel Arch and Mega Pixel LED units together to create circles, waves and unique looking LED light show solutions. The Mega Pixel Arch built-in color chase, strobe and color mixing programs. Considering purchasing the American DJ Mega Pixel Arch? Have questions? Ask people who've recently bought one. Do you own the American DJ Mega Pixel Arch? Why not write a review based on your experience with it. 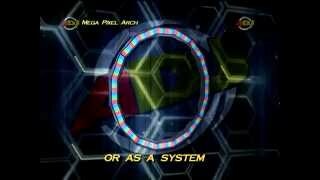 Seen a video for American DJ Mega Pixel Arch online or have you own video? Check out American DJ Mega Pixel Arch on DJkit.com!